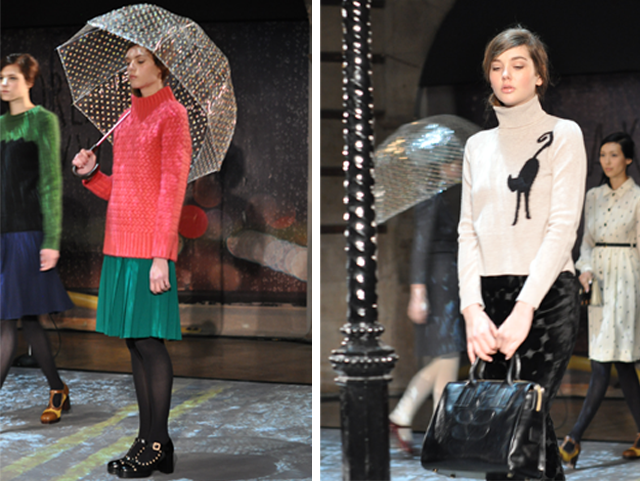 The set of Orla Kiely for autumn winter 2014 was like something straight out of Breakfast at Tiffanys, complete with sound effects including rain showers and meowing cats. She got it spot on considering the weather outside was perfectly matching the weather within. We all wanted to grab the raincoats straight off the models to battle the wind and heavy rain happening in central London. Oh, and about those cats. Their presence didn't start and stop with the sound effects. 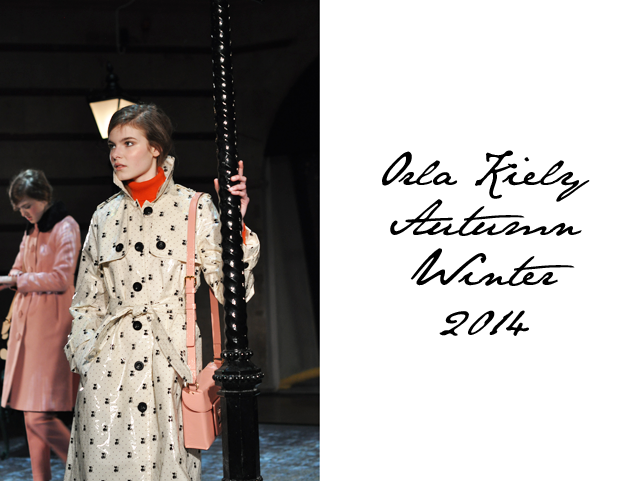 From printed suits to luxurious knits, the cat was at the centre of the collection. 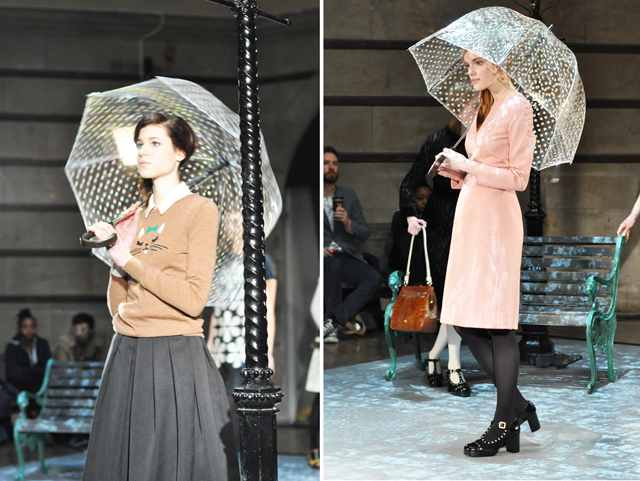 The models were definitely working a Holly Golightly vibe as they wandered aimlessly around the set showing off there fabulous wares from Orla Kiely logo lined shoes to cat shaped clutches. A lot to look forward to.